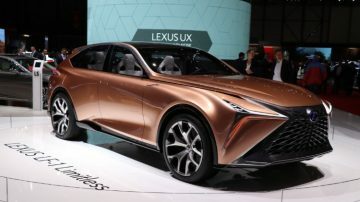 Getting to the Geneva Auto Show (Genève Auto Salon) is easiest by public transportation. Trains (and planes!) are the best options but buses also stop at the show grounds. Pricey parking is available. 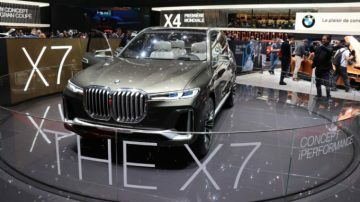 The Geneva Auto Show is easily reached on public transportation from any part of Genève, Switzerland, or indeed Europe. 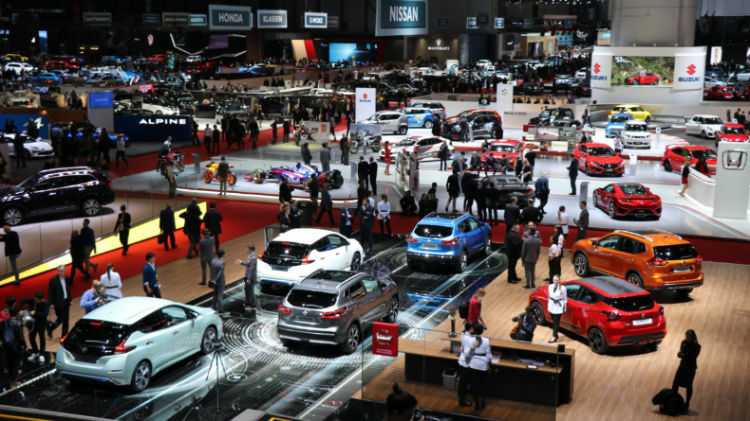 The Genève Auto Salon is held in the Palexpo Exhibition Grounds right next to Geneva Airport (GVA) making all transportation options for getting to the airport useful with further parking added during the auto show period. From Geneva Airport terminal buildings, it is around a ten minute walk to the Geneva Motor Show. Follow the signs to Palexpo via the train station shopping mall. Swiss Railways (SBB / CFF) trains generally provide the best way to reach the Palexpo exhibition grounds where the Geneva Auto Show is held. Almost all trains to Geneva continue past the town center to Geneva Airport Station, which is right at the entrance to the Palexpo complex. Additional trains are added to the time table during the Auto Salon. From the trains to the motor show can be as fast as five minutes’ walk. 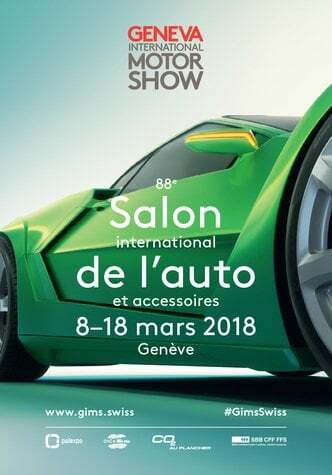 Bearers of tickets for the Geneva Auto Show also qualify for discounts of 10% on any railway fare from anywhere in Switzerland if traveling to and from the Auto Salon. Combination tickets including transportation and admission to the Auto Show can be bought from any Swiss railway station and many other travel agents. These combination tickets bought through Swiss Railways are around CHF5 cheaper than regular Auto Salon admission tickets. If buying online from Swiss Railways, look for RailAway offers for combination tickets or RailTicket if only buying the train ticket. These offers are usually available online only from a few days before the show starts. Geneva public transportation (Unireso) buses also provide transportation to the Geneva Auto Salon. The most useful bus is bus line 5, which runs from amongst others Geneva Cornavin station via Nations to Geneva Airport (and back) stopping en route at Palexpo’s main entrance. Traveling time from Geneva station to Palexpo is around 20 minutes with buses departing every 7 to 8 minutes. Less useful routes to most visitors are line 28, 57 and Y, which also stop right at Palexpo. All other bus lines to Geneva Airport (10, 23, 57) can also be taken to the airport stop which is around 5 minutes walk from the entrance to Palexpo. Bus 5 can get extremely crowded during the Geneva Auto Show period – especially Saturday and Sunday mornings. At very busy periods, direct buses from Geneva station are available to the Auto Salon – these buses depart from directly in front of the station near the usual stop of bus 5. On the whole, few would regret rather taking the train from Geneva Cornavin station to Geneva Airport than chance the crowded and slower bus. Parking directly at Palexpo is mostly reserved for exhibitors and VIPs. Most visitors have to park away from the airport at auxiliary parking areas. P-48, P-49, and P-International Zone charges CHF20 per car and include free bus transfers. (P-49 is also only five minutes’ walk from Palexpo making it a good option for visitors not keen on waiting for the bus.) Other parking options at Palexpo and Geneva can be vastly more expensive. Drivers using the Grand St Bernard tunnel may use the tunnel for free if returning within three days and showing the original toll ticket and a Geneva Auto Salon entry ticket. The train is by far the best option to travel to the Geneva Auto Salon, although flying in for a day trip to save on hotel costs is a fairly sound idea too. Few drivers would regret leaving the car at home or parking elsewhere and taking the train to Geneva Airport on busy days and especially over weekends. 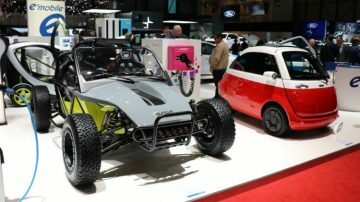 Visiting the Geneva Motor Show (Genève Auto Salon) in Switzerland for general information including opening hours and ticket prices. See what Geneva hotels TripAdvisor users perfer, although during the motor show period actual availability generally counts more than user ratings.